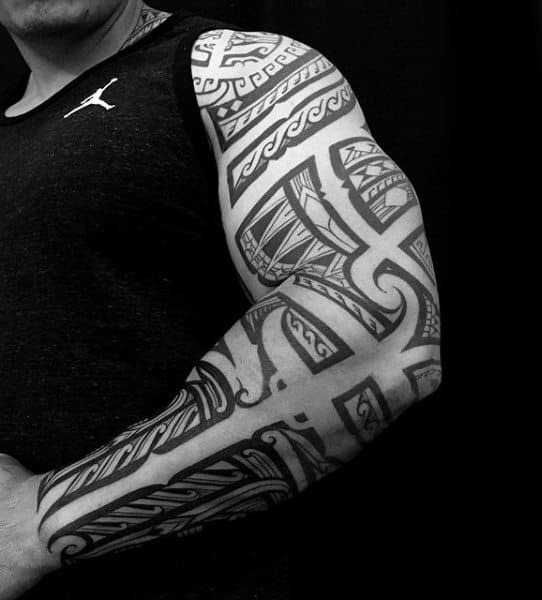 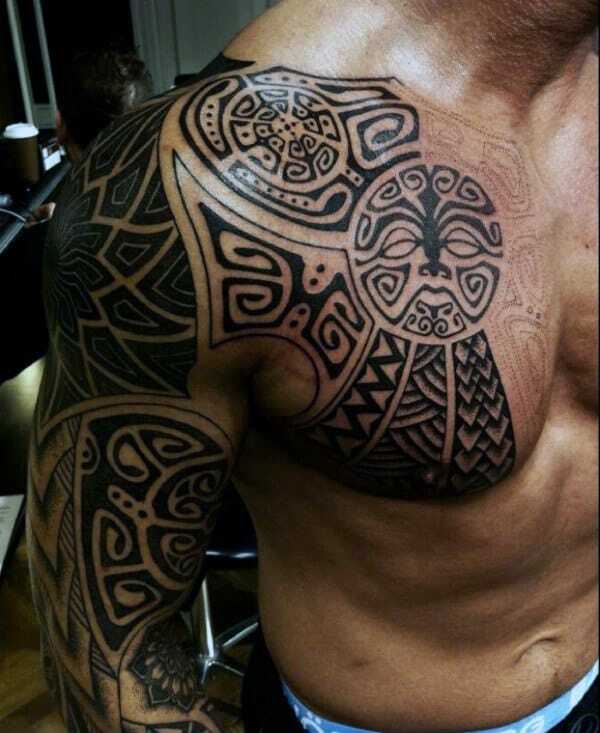 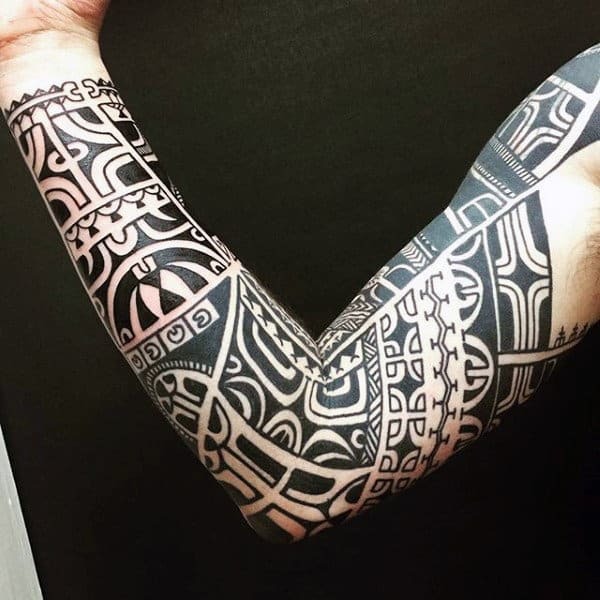 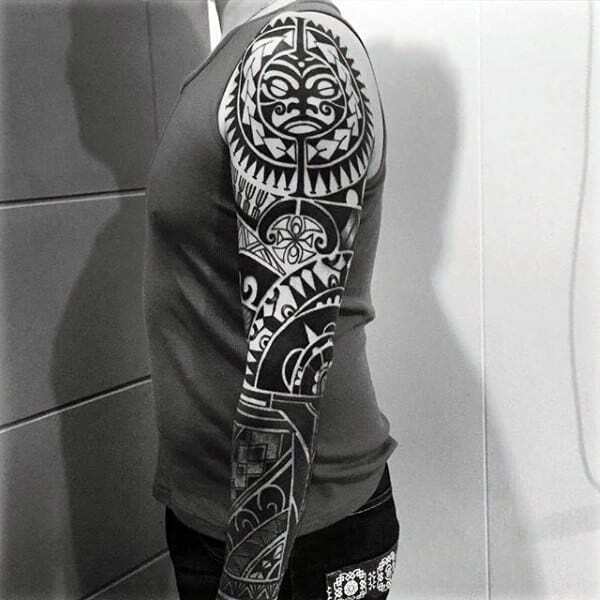 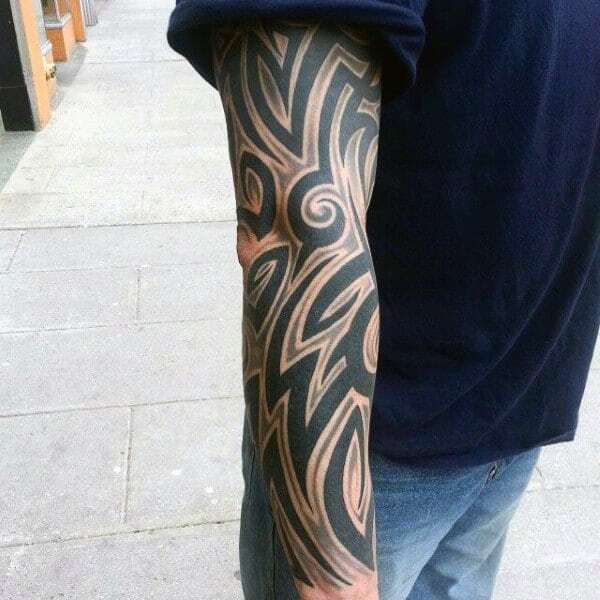 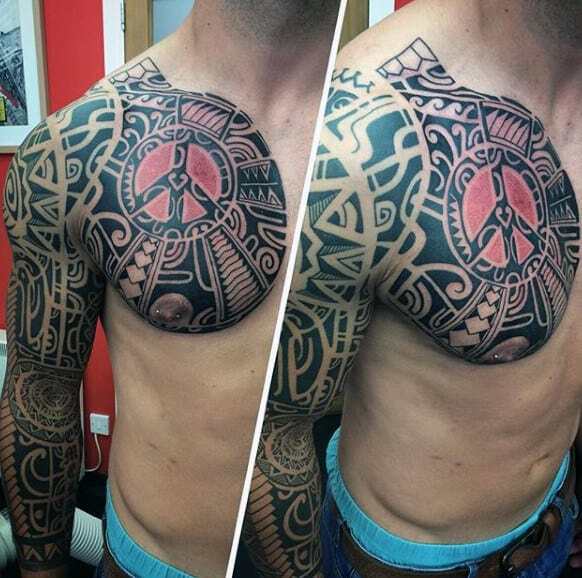 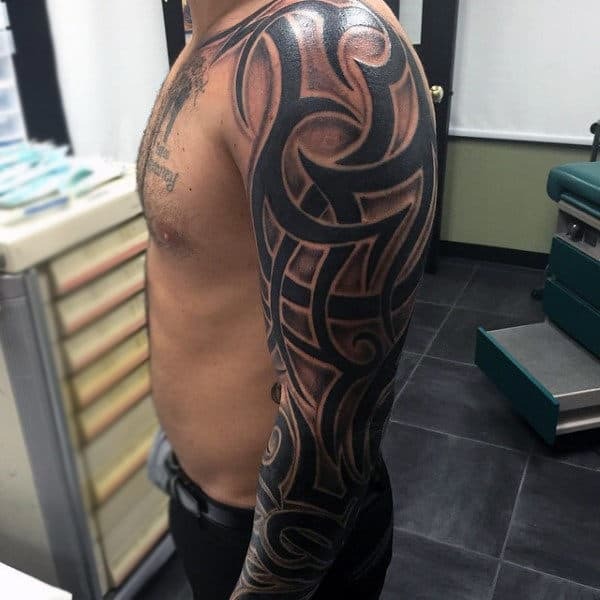 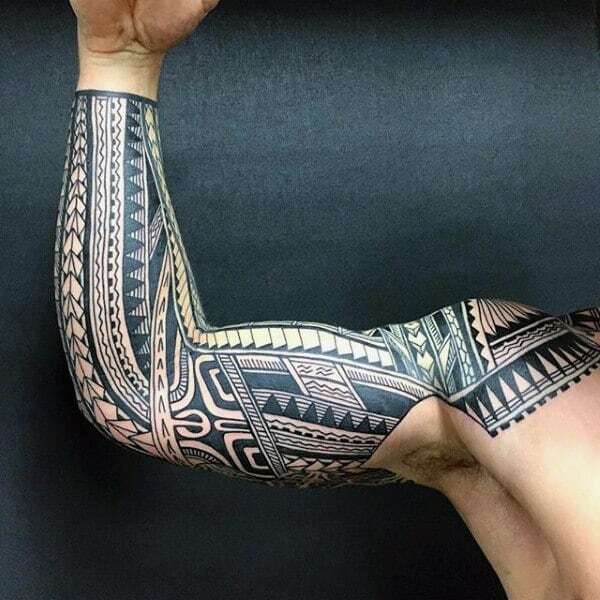 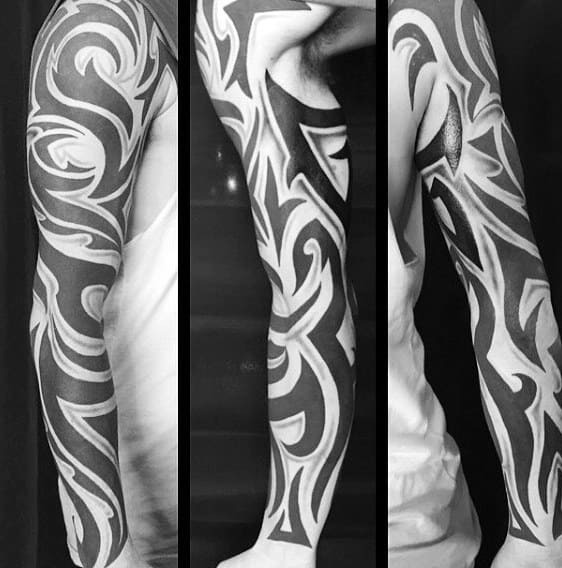 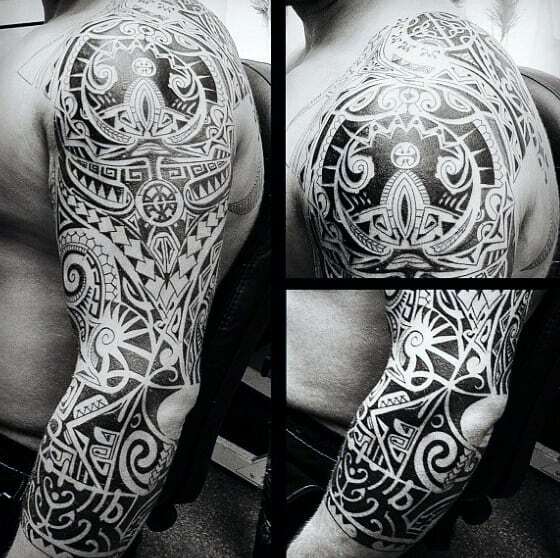 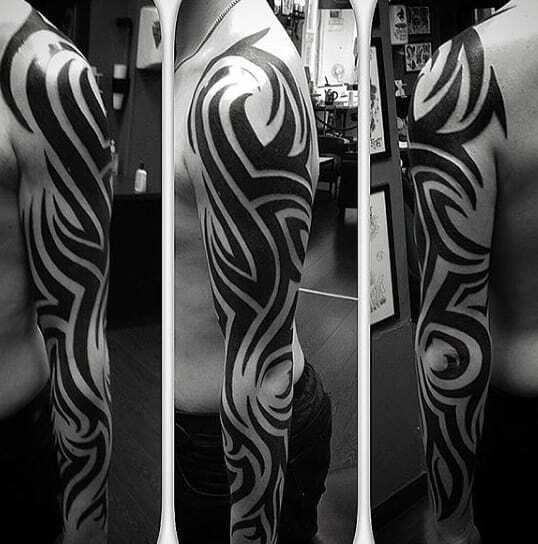 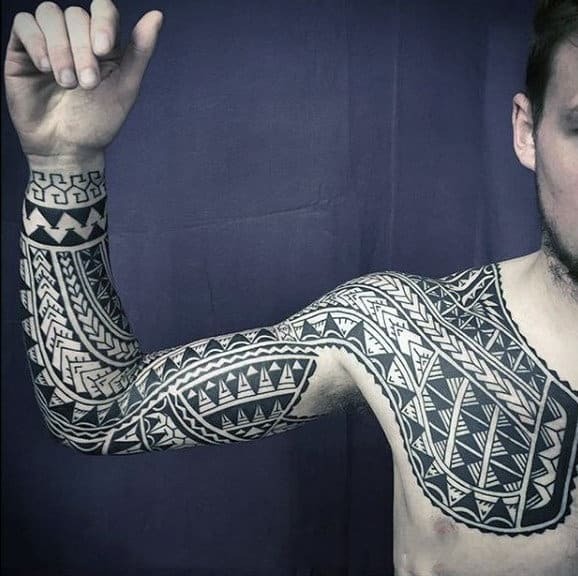 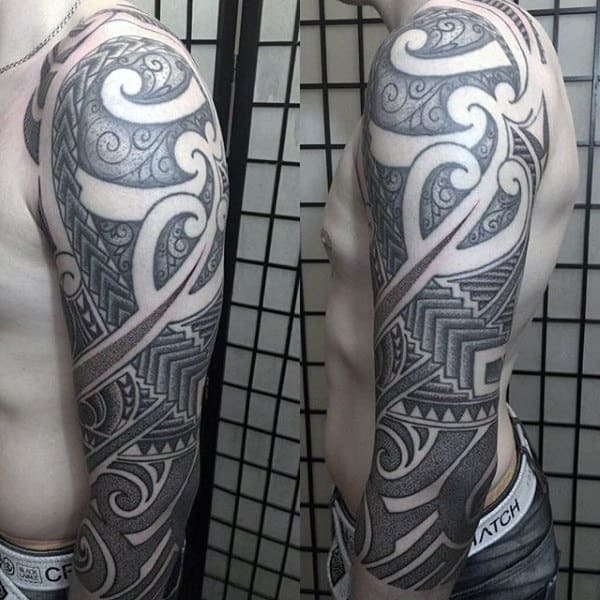 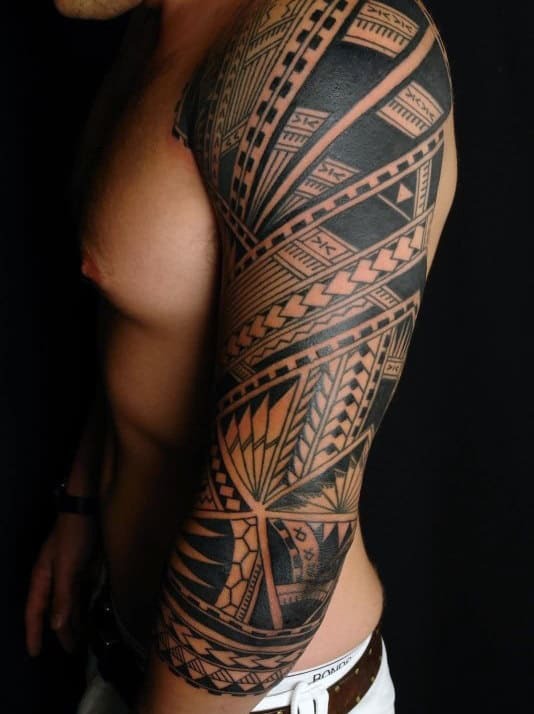 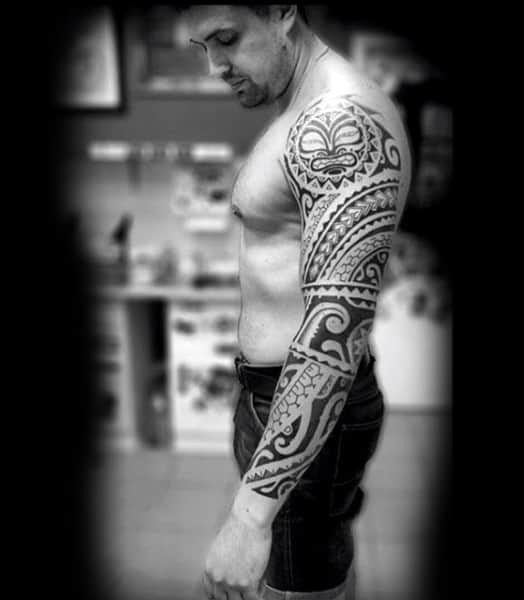 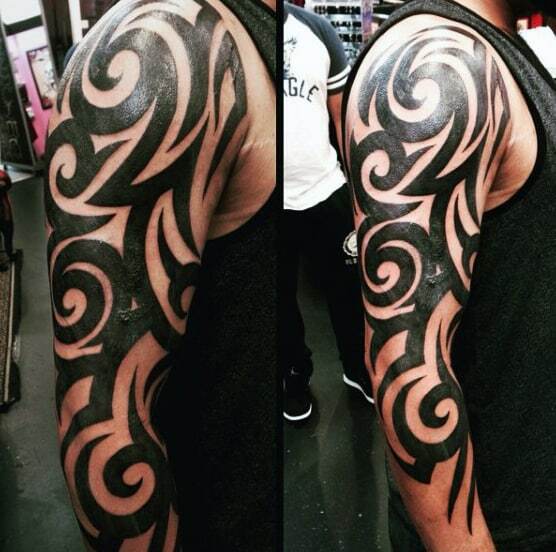 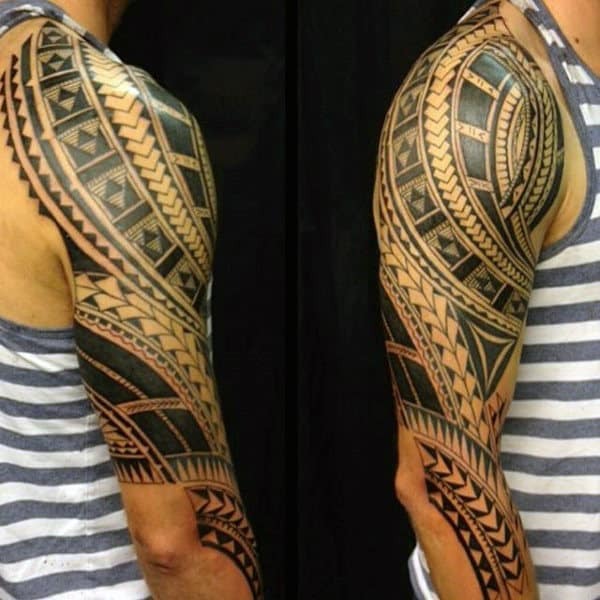 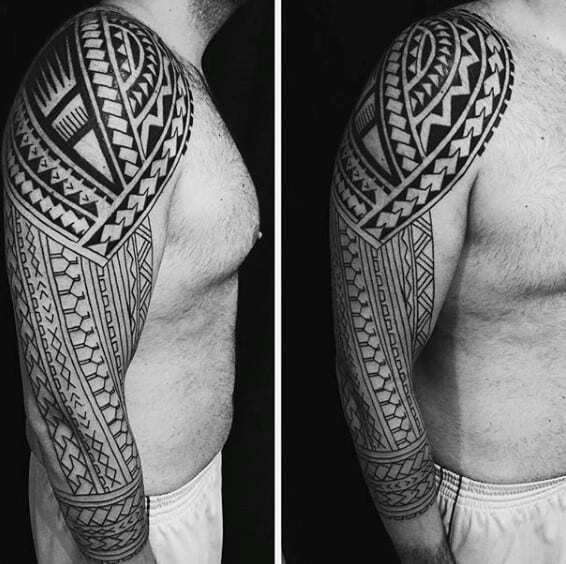 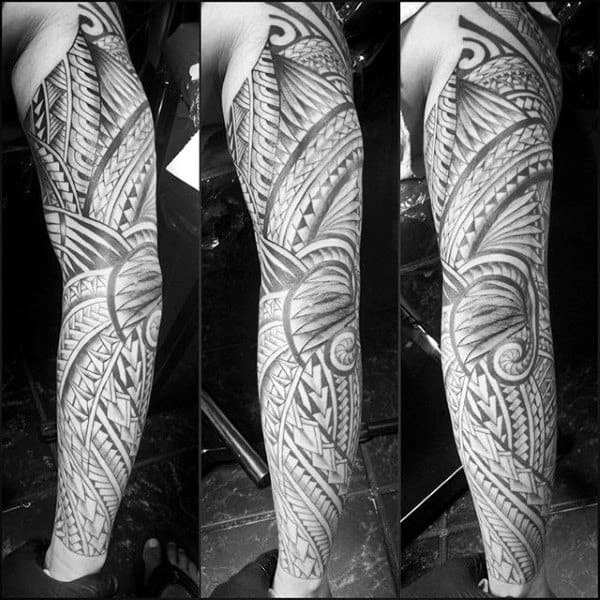 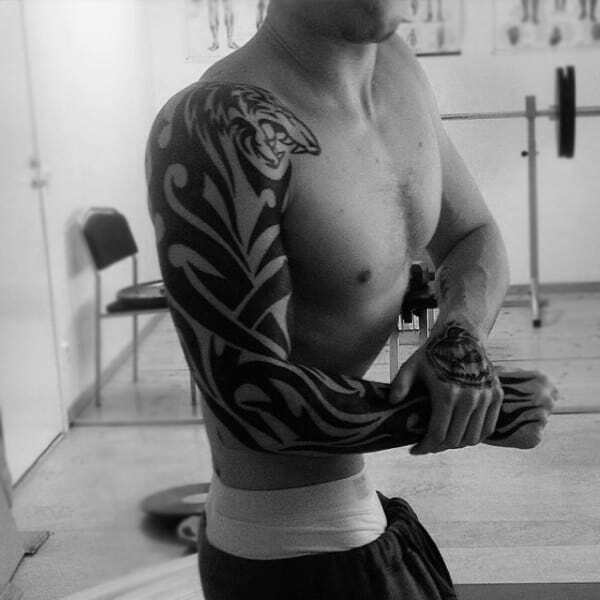 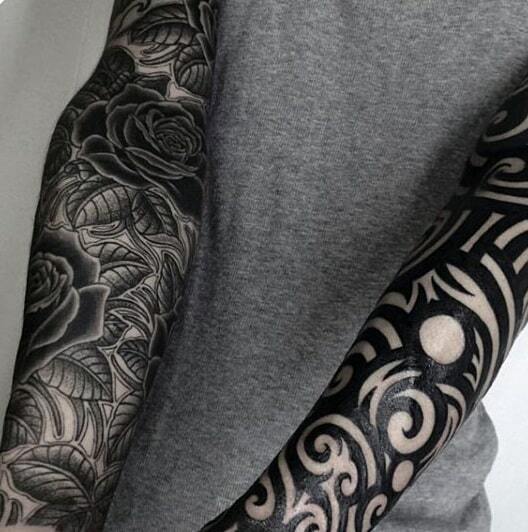 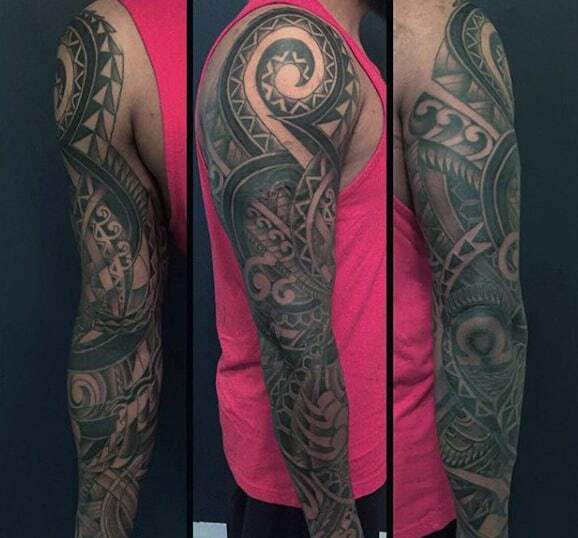 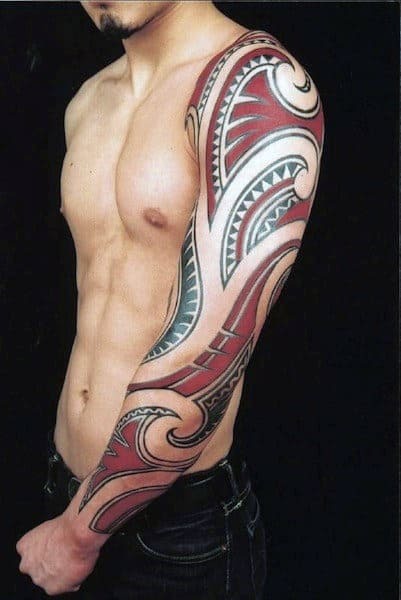 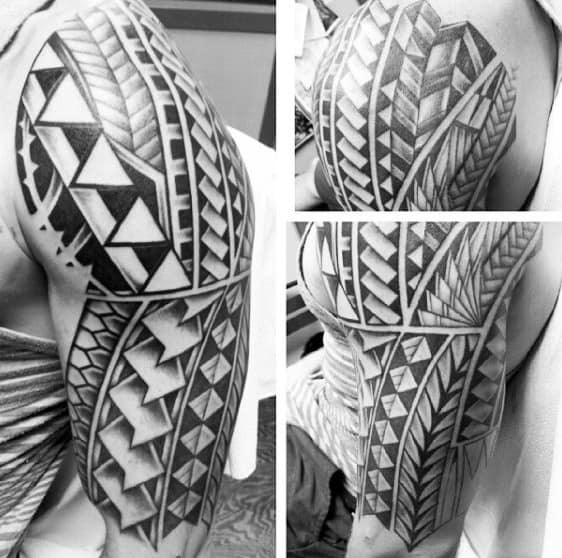 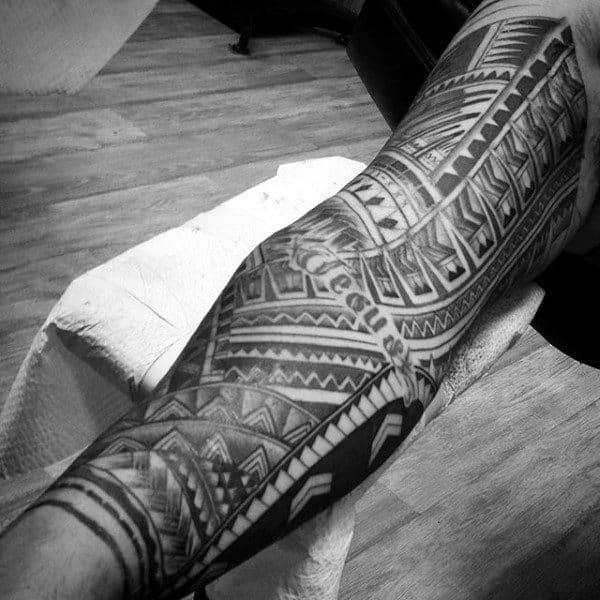 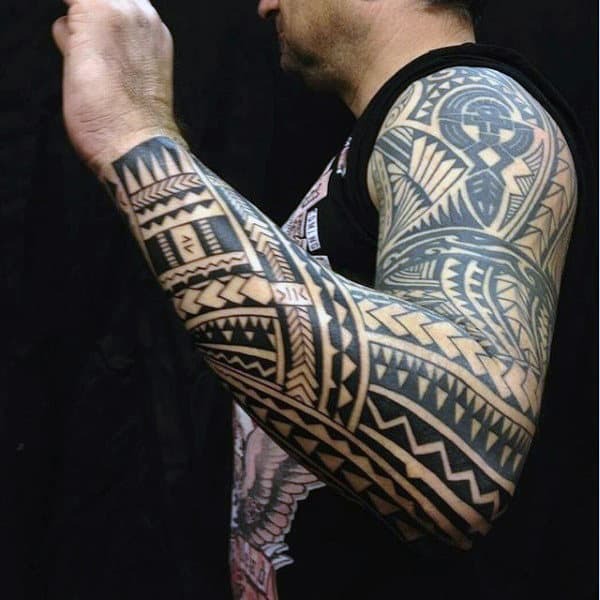 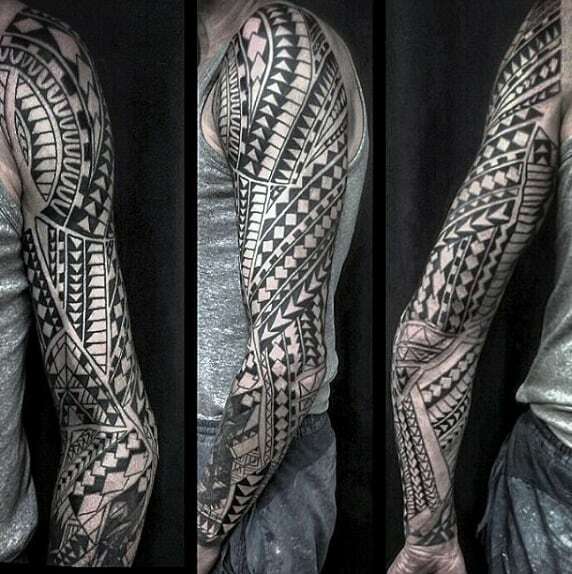 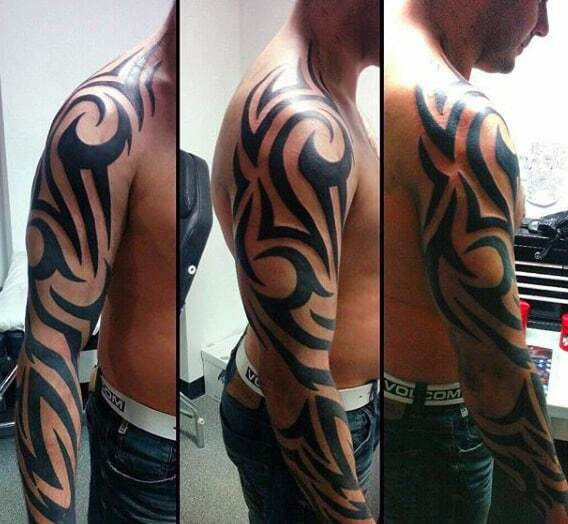 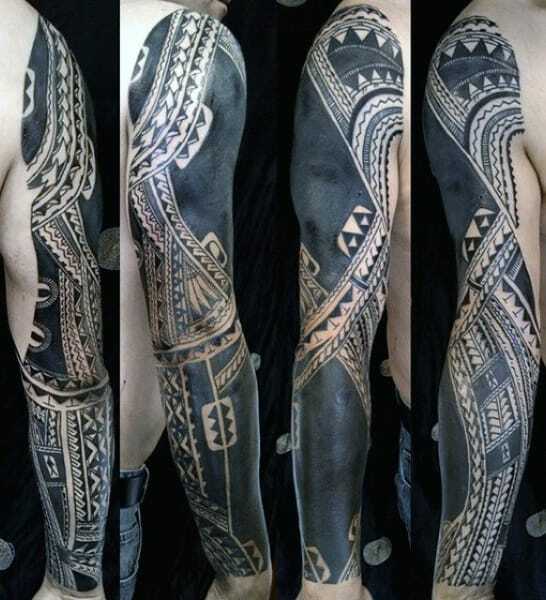 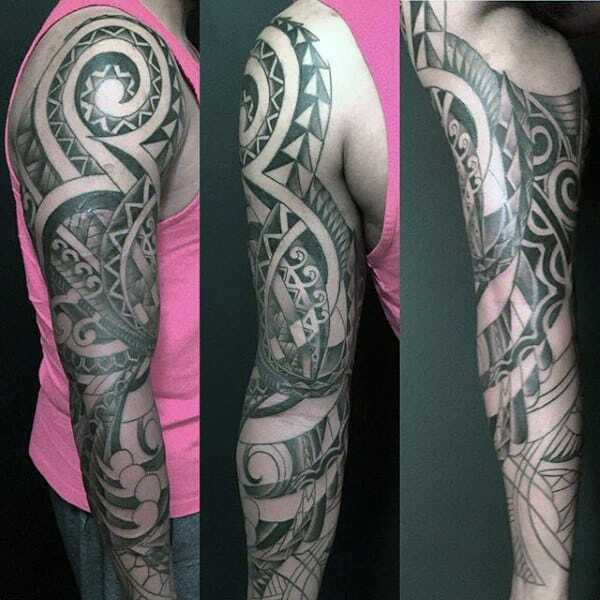 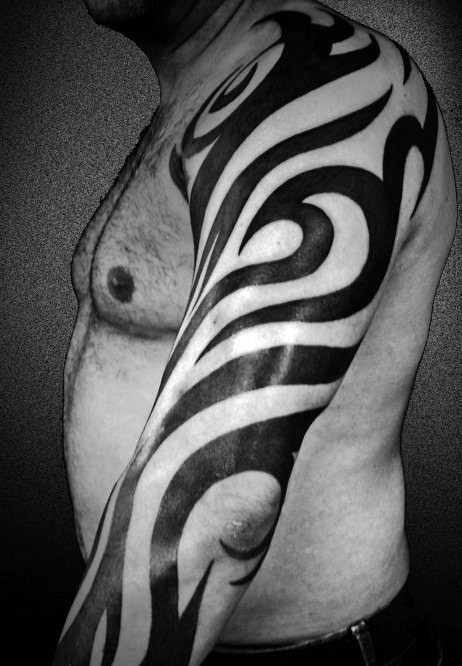 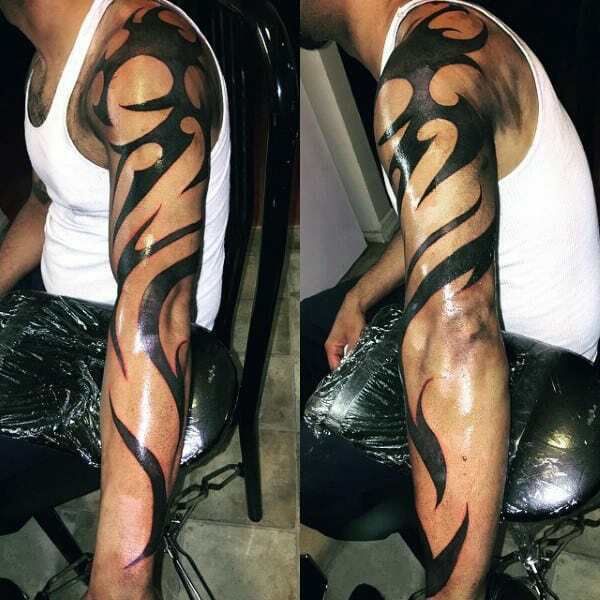 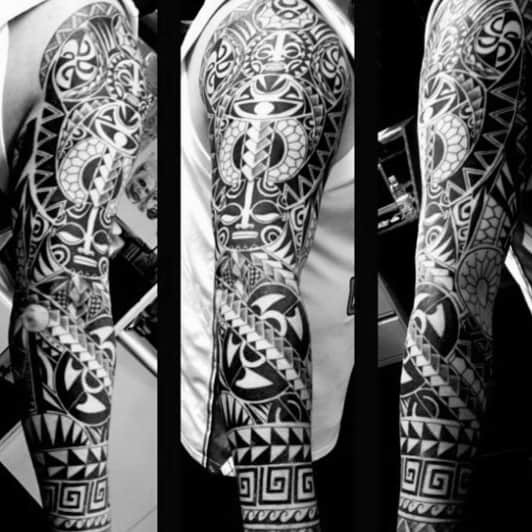 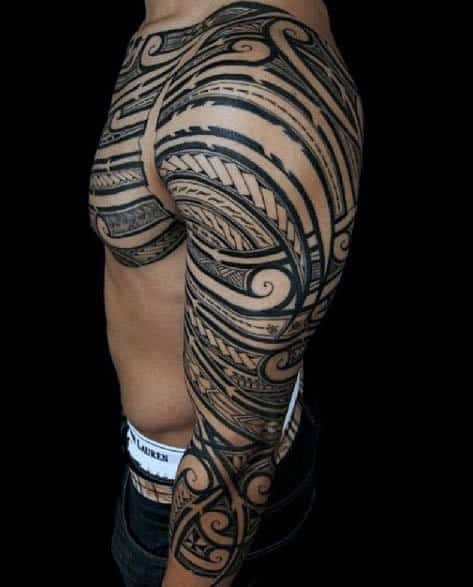 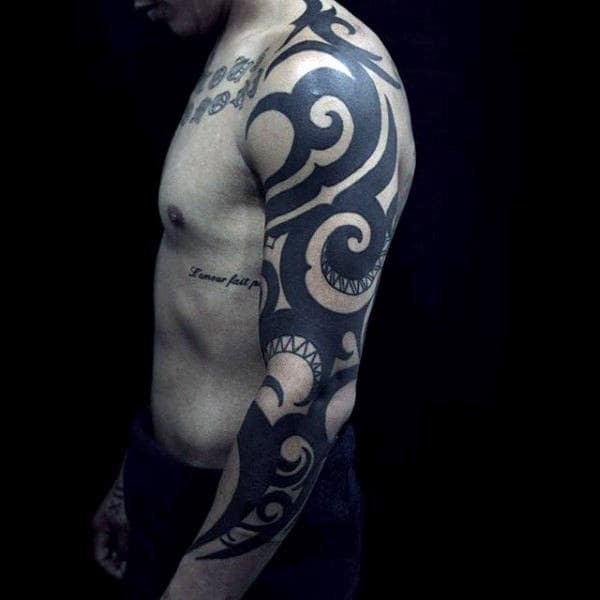 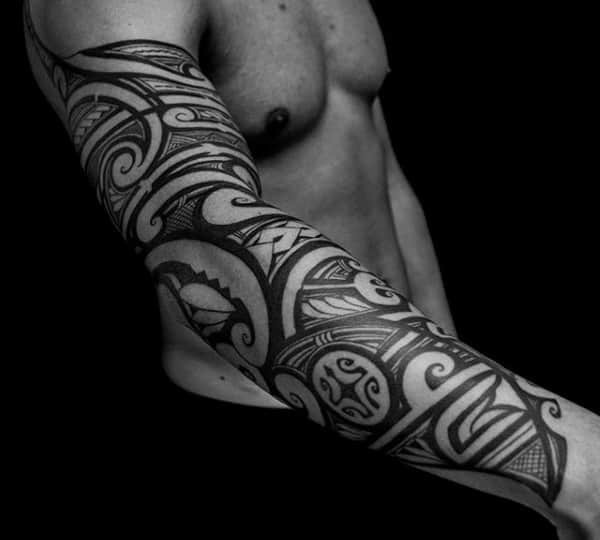 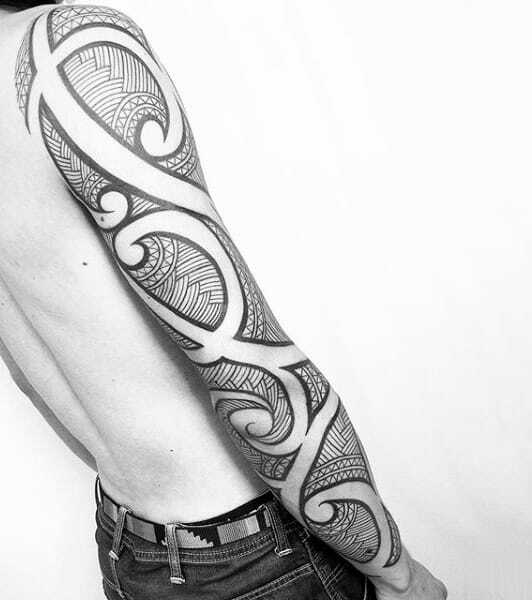 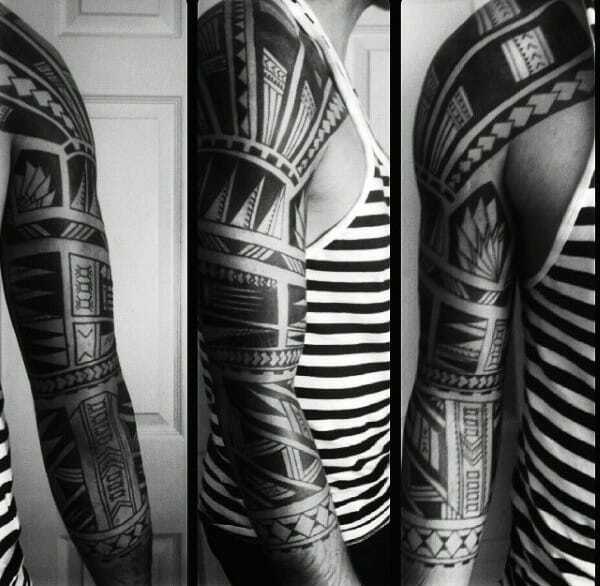 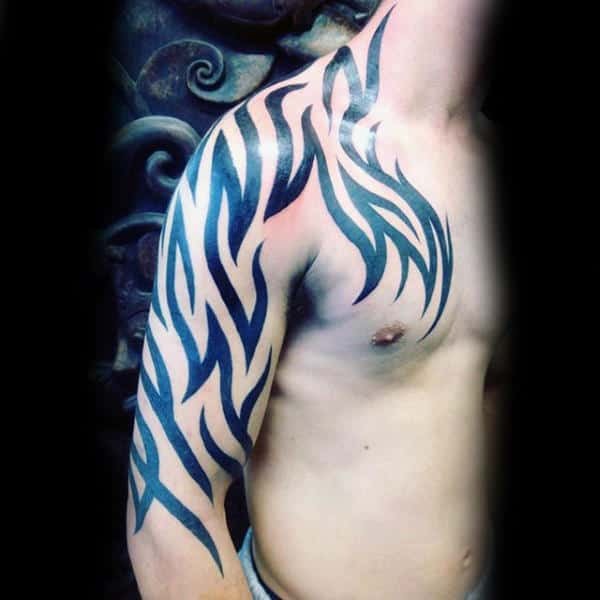 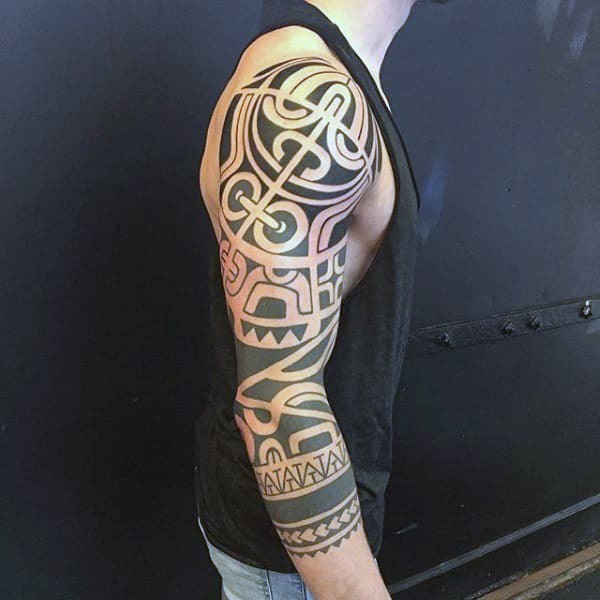 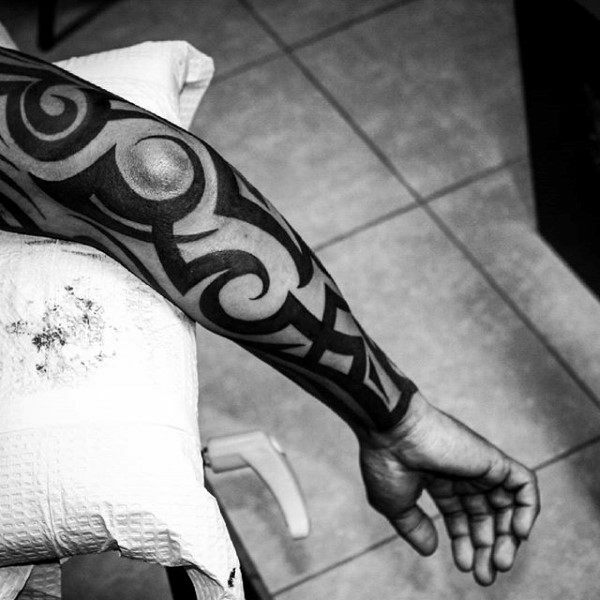 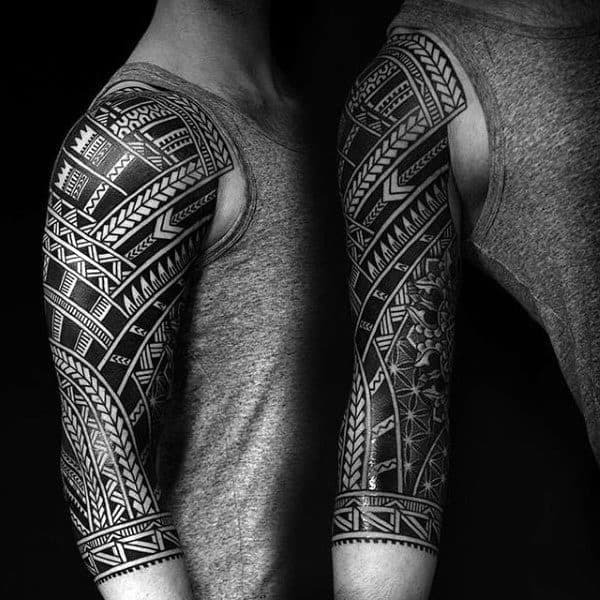 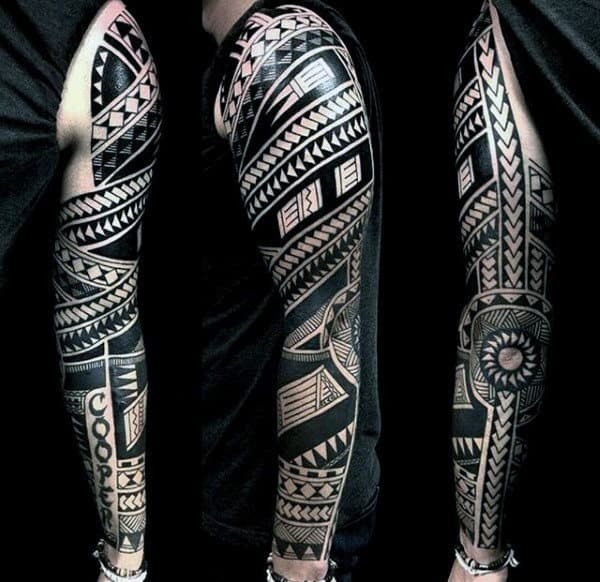 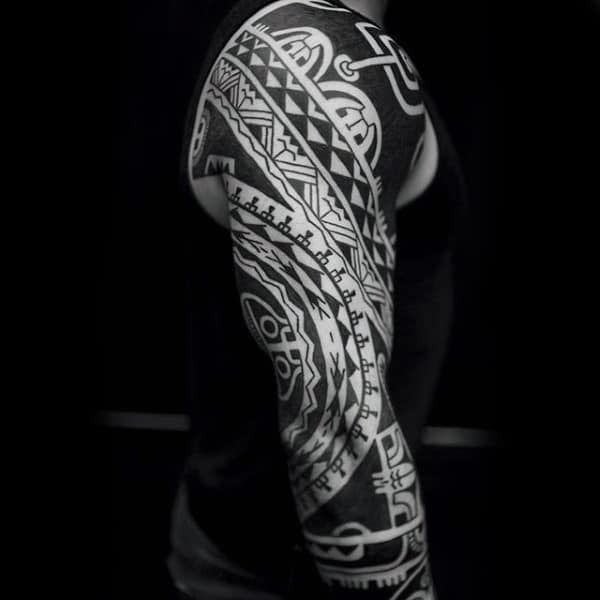 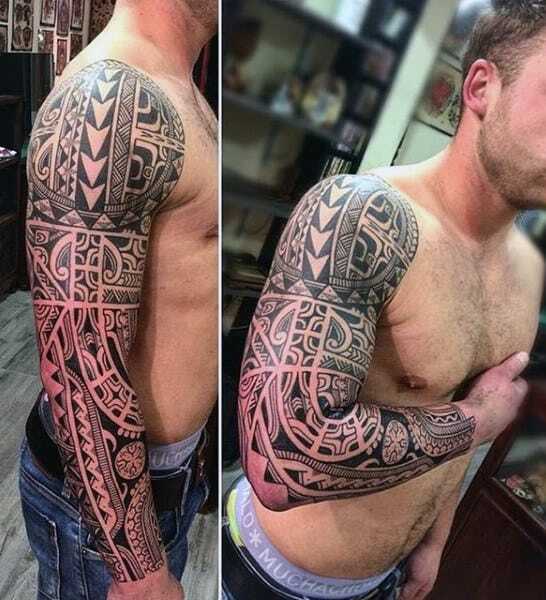 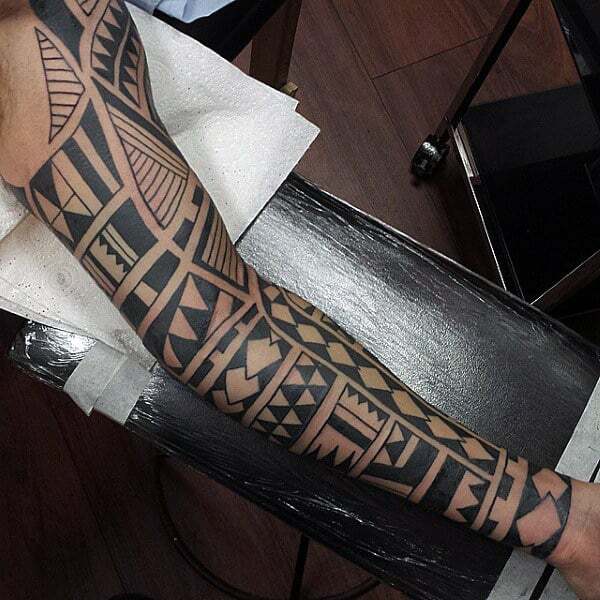 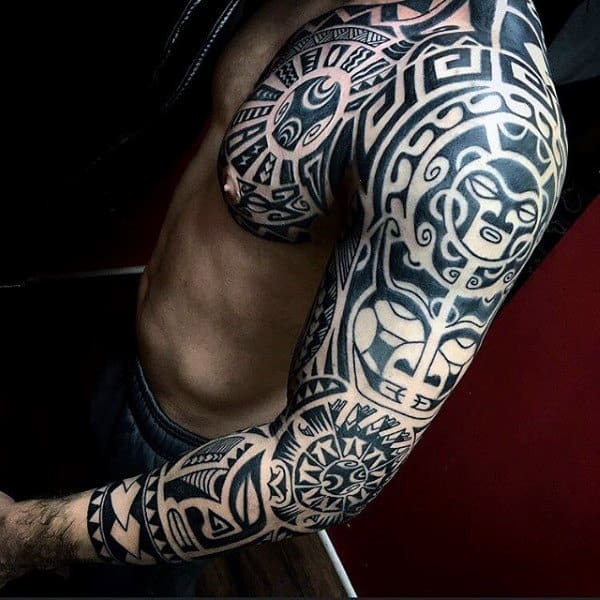 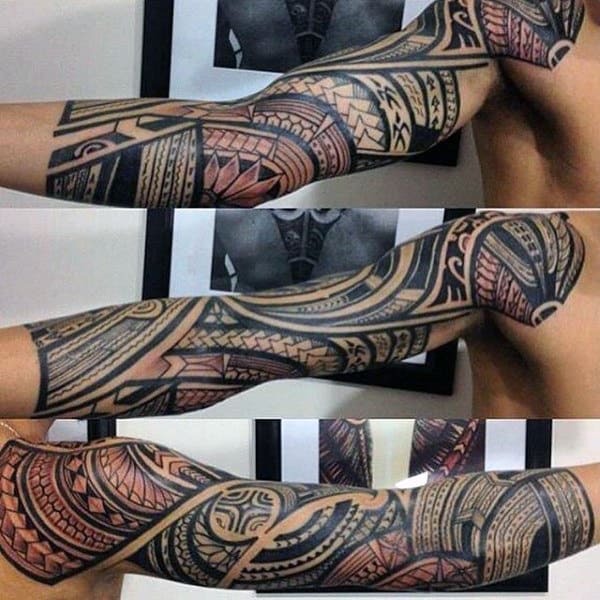 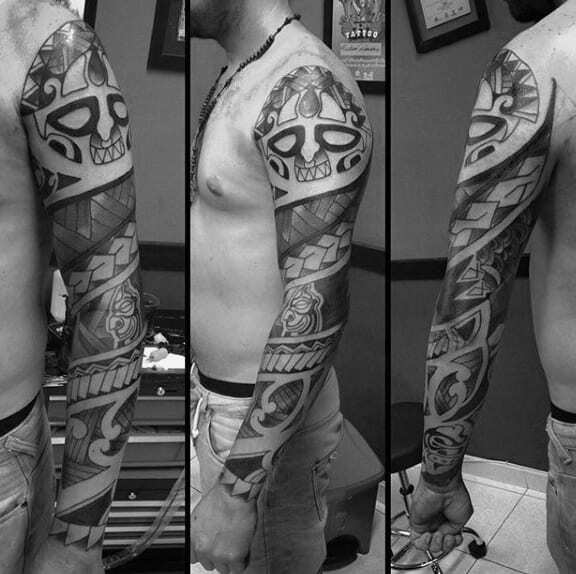 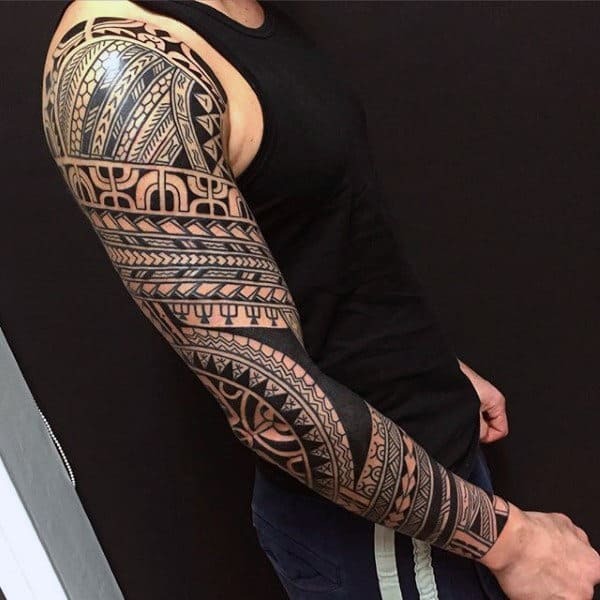 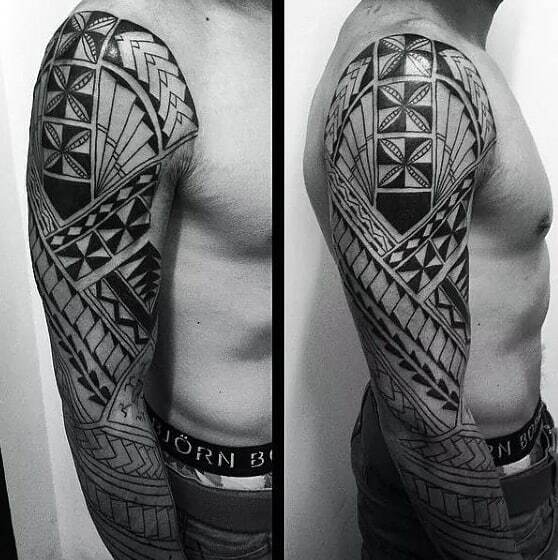 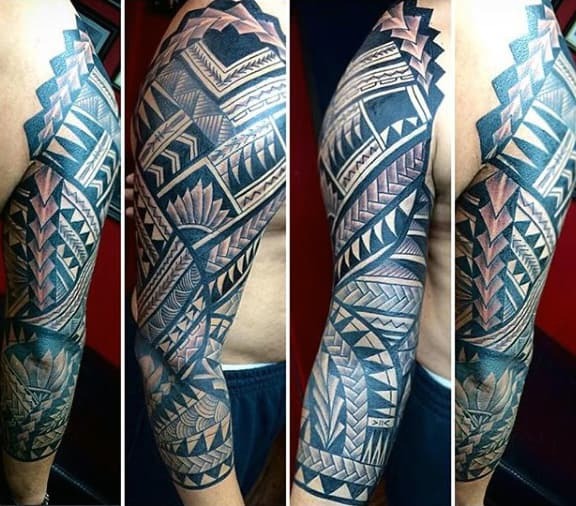 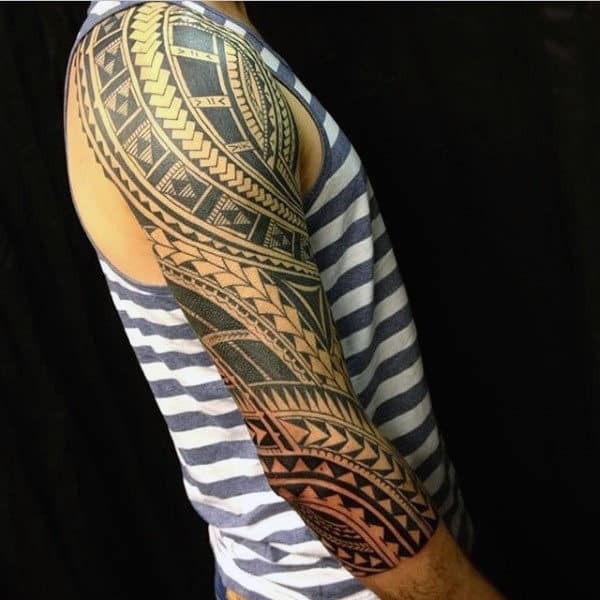 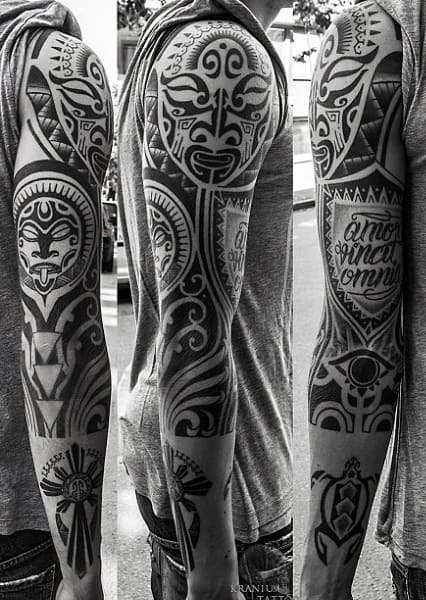 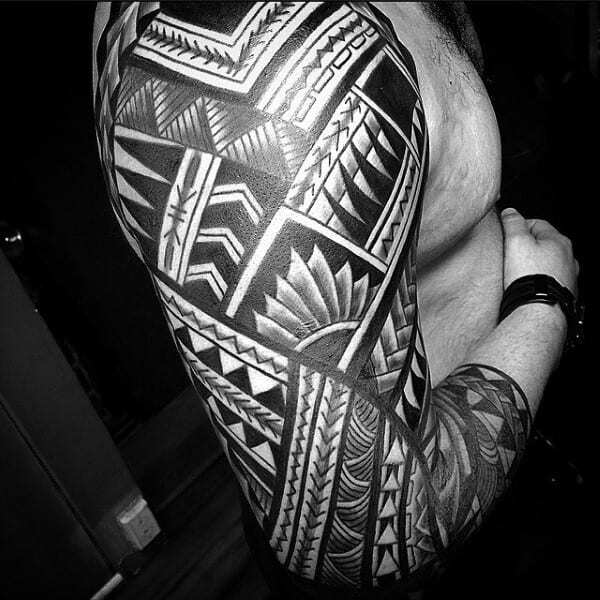 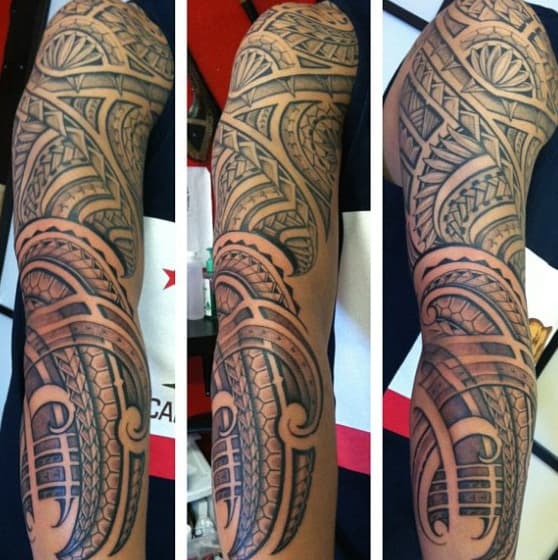 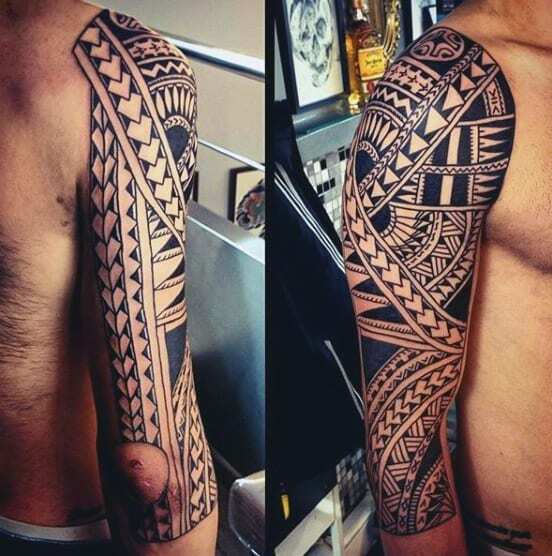 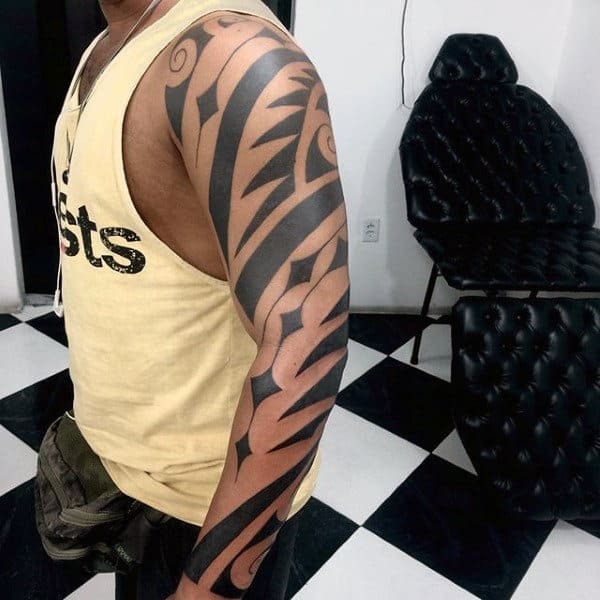 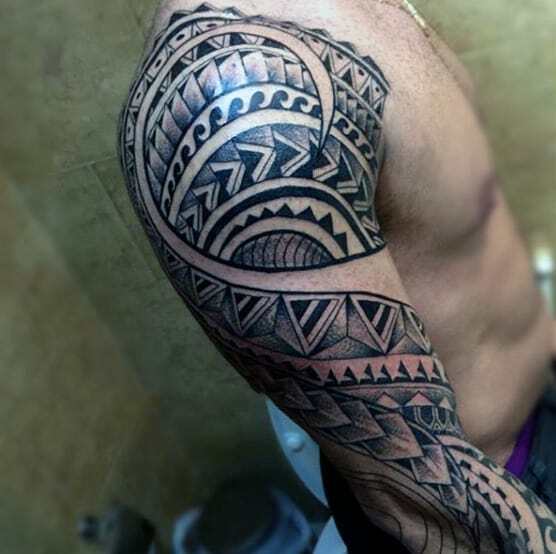 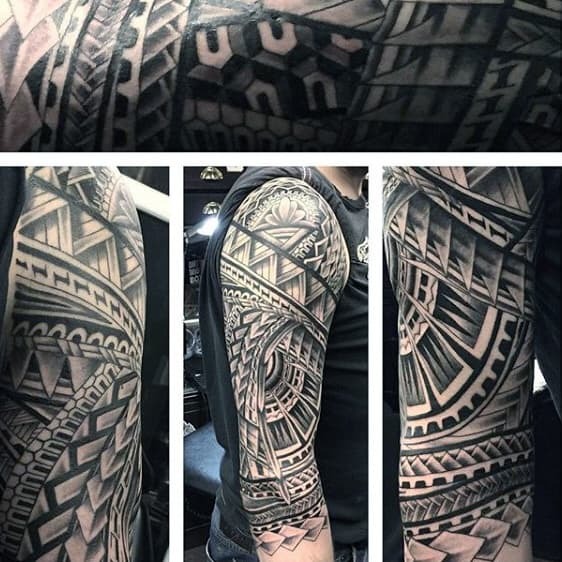 The zenith of stylish masculinity is masterfully encapsulated in tribal sleeve tattoos for men. 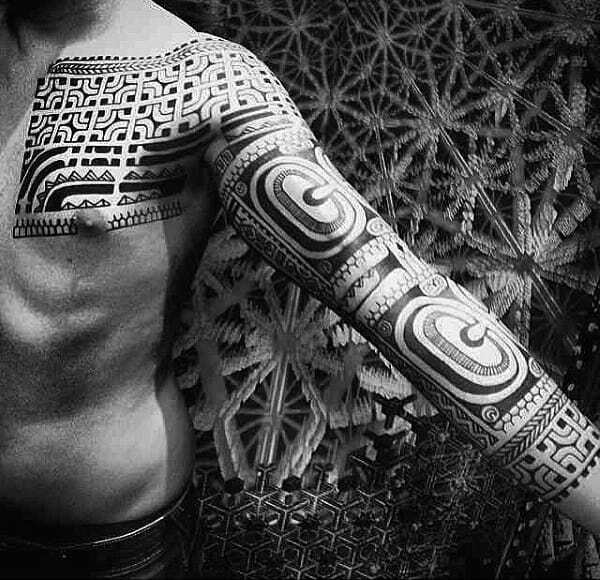 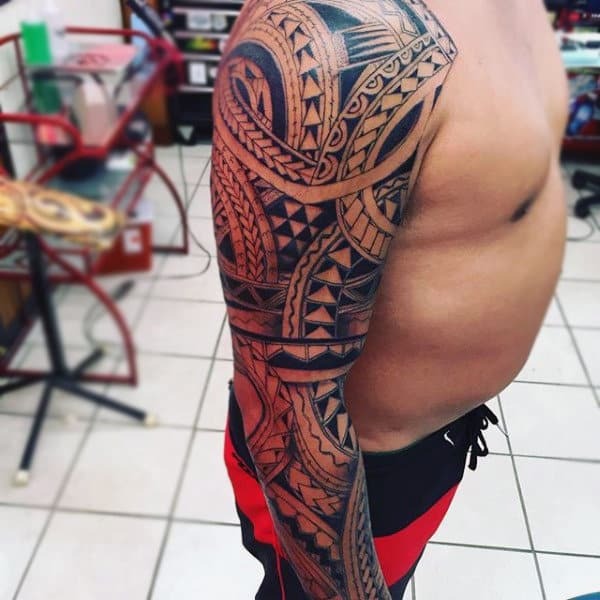 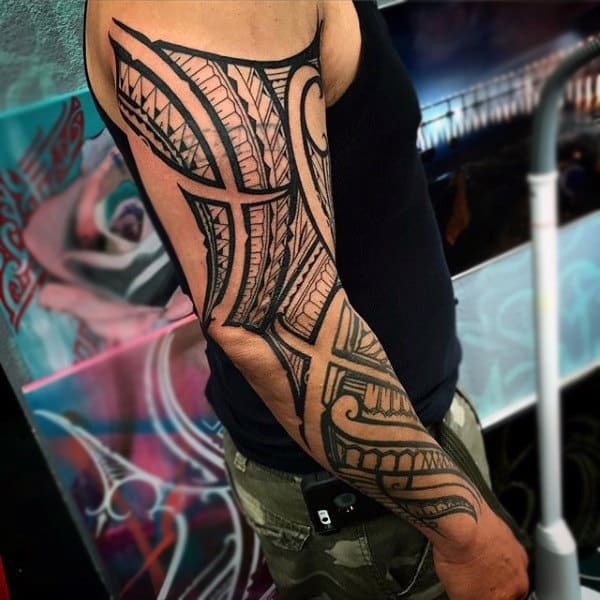 These complex designs are tied to ancient rites of ritualistic scarification, and they predate the widespread acceptance of ink by generations! 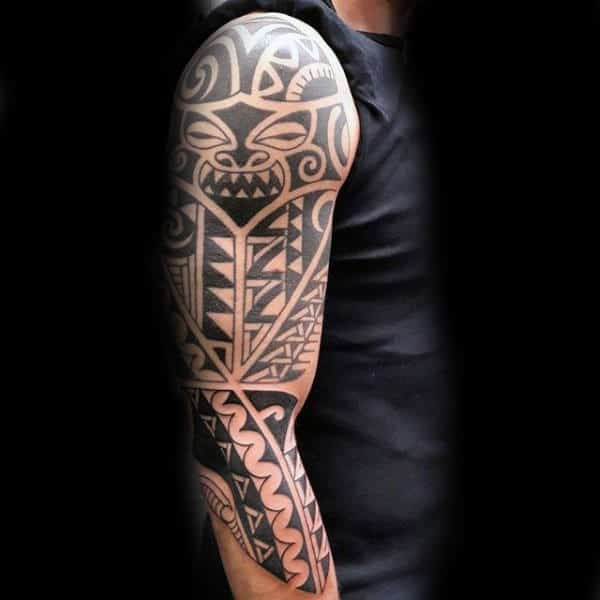 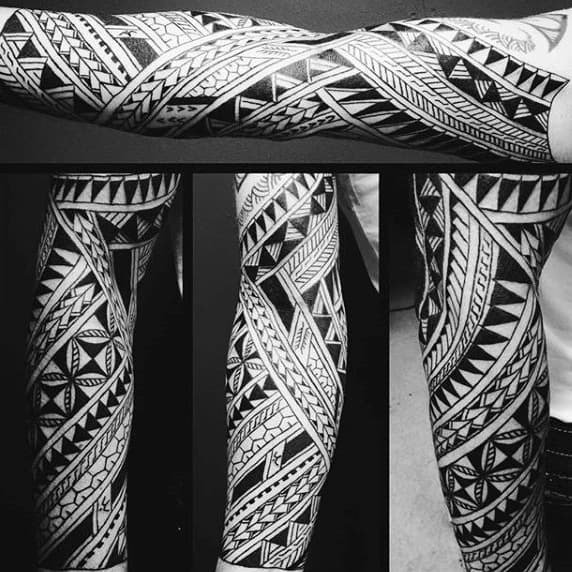 Many historians believe that tribal sleeve tattoos were the first ink-based forms of body art in existence. 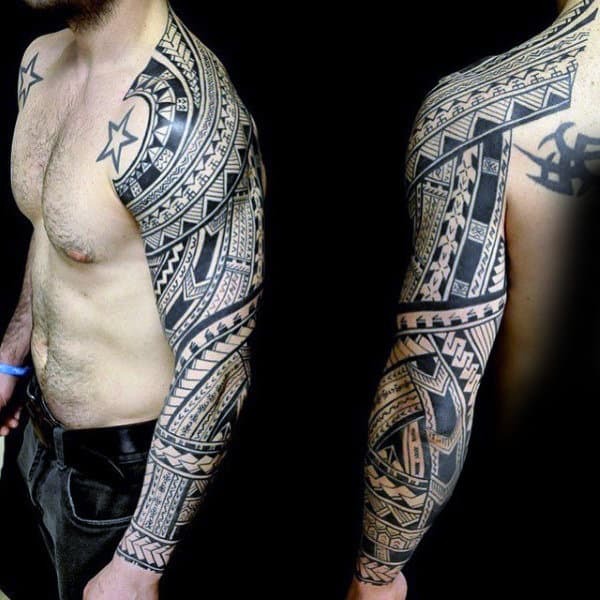 This is because they were employed in underground communities for the purpose of deriving a secretly shared kinship. 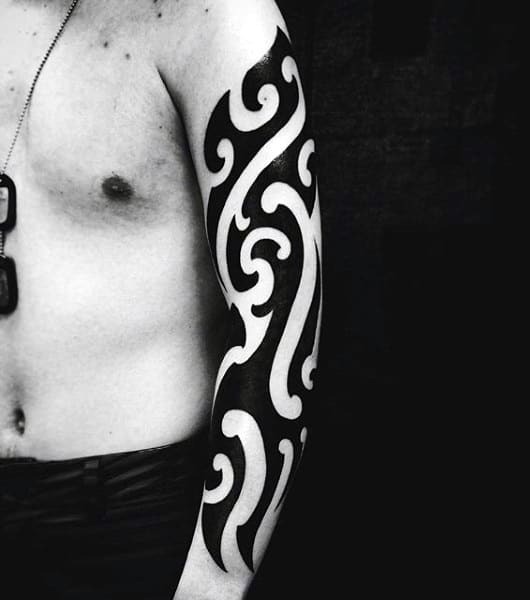 The Japanese Yakuza were some of the earliest progenitors of these tattoos, but several other crime syndicates also lay claim to their inception. 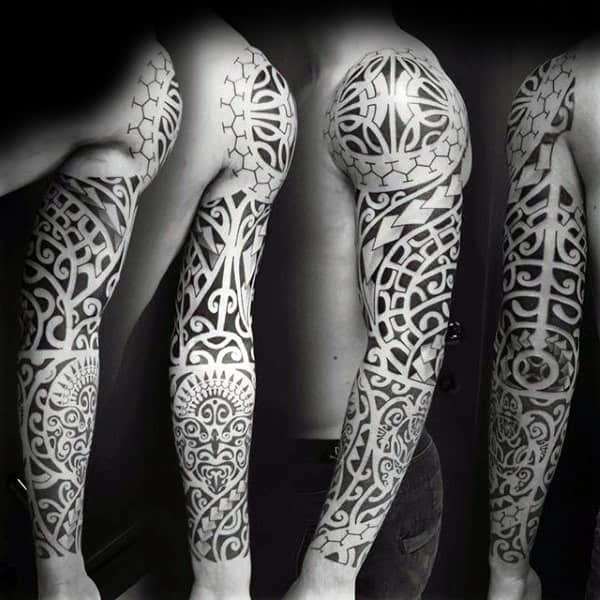 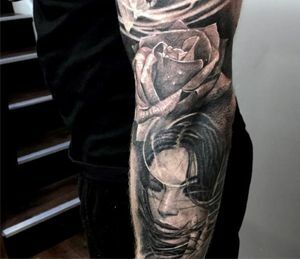 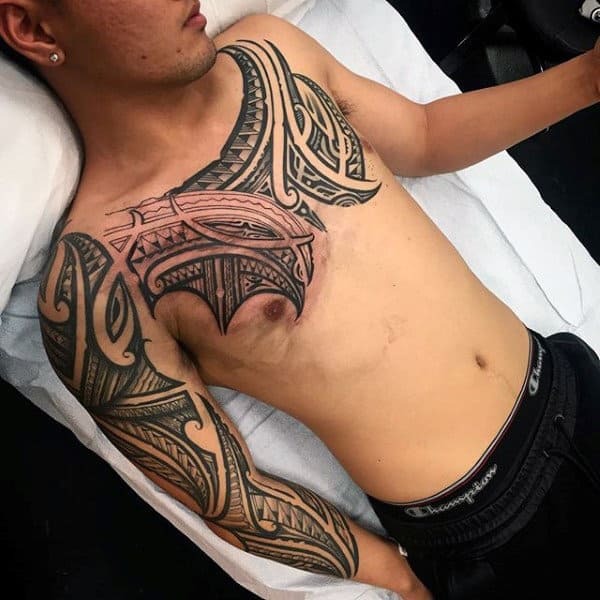 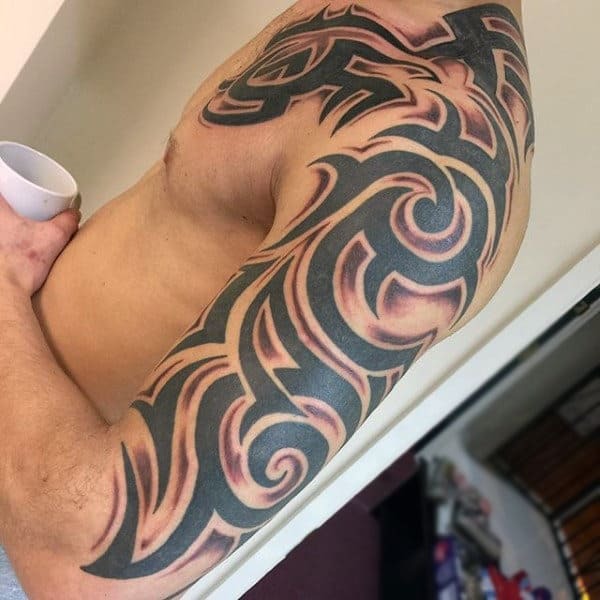 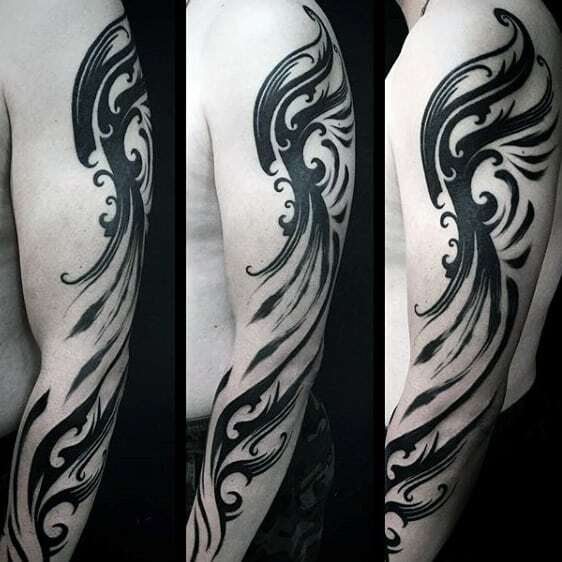 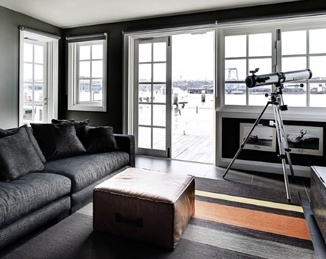 Luckily, these epic ink creations are no longer strictly relegated to lawless types, and now anyone can facilitate a ravishing transformation via their incorporation. 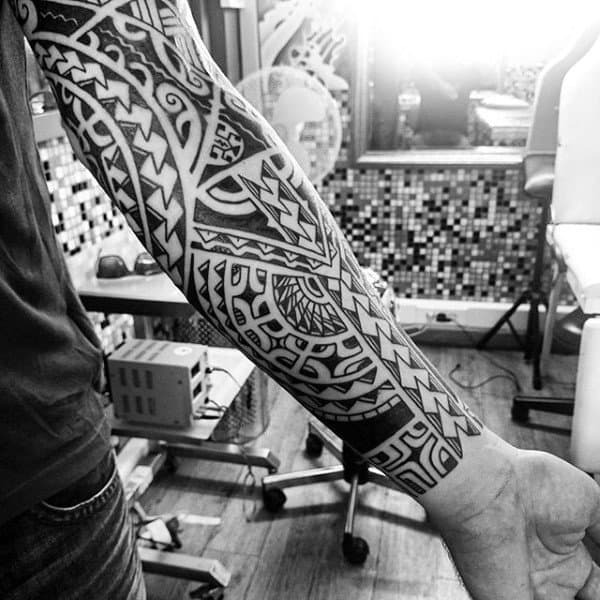 The intricate line work is typically meant to amplify the appearance of a brawny exterior. 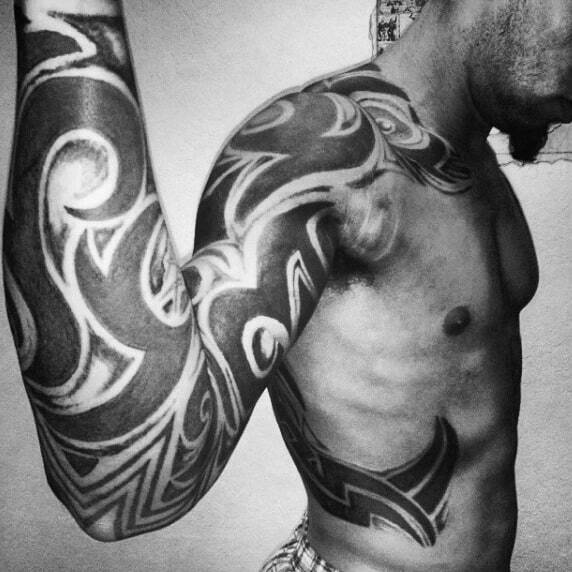 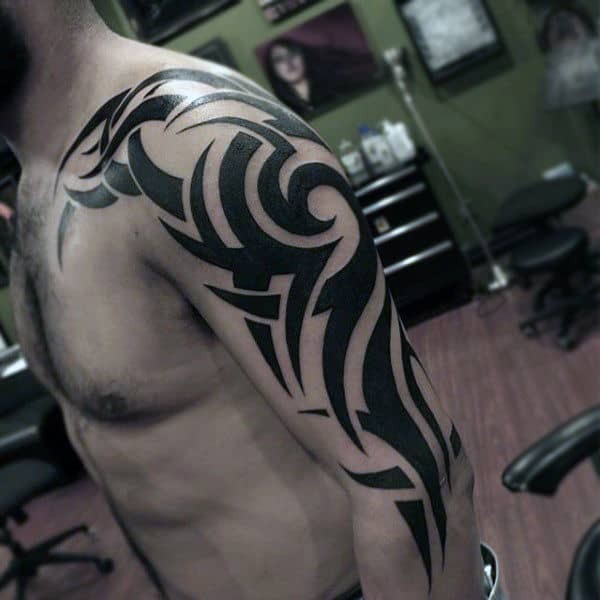 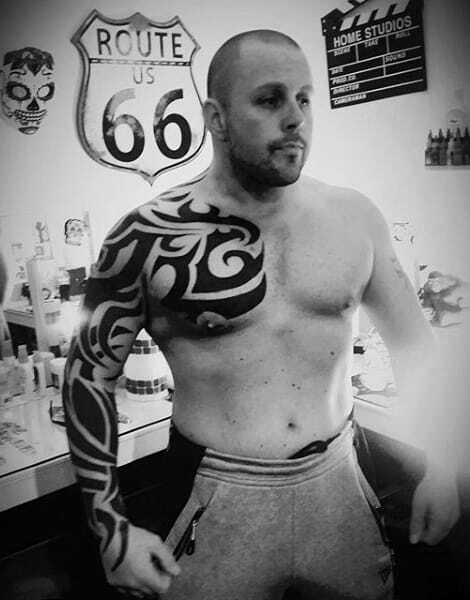 Buff arms will thrive by having their muscular contours enhanced by tribal sleeve tattoos. 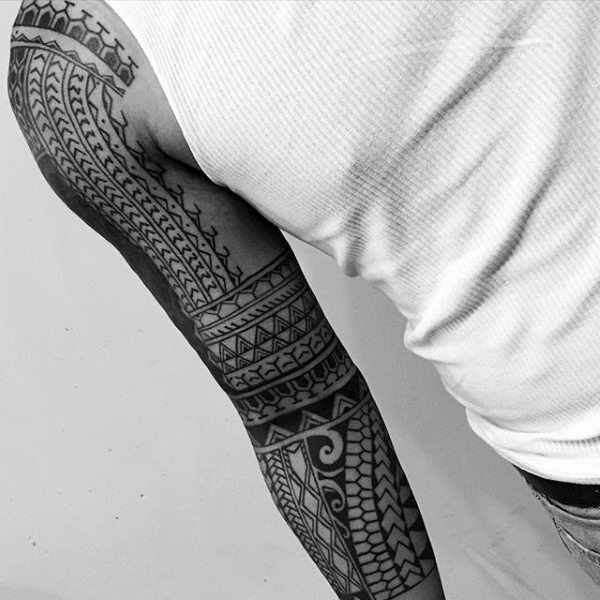 Several aboriginal groups also implemented tribal tattoos as a way to celebrate maturity. 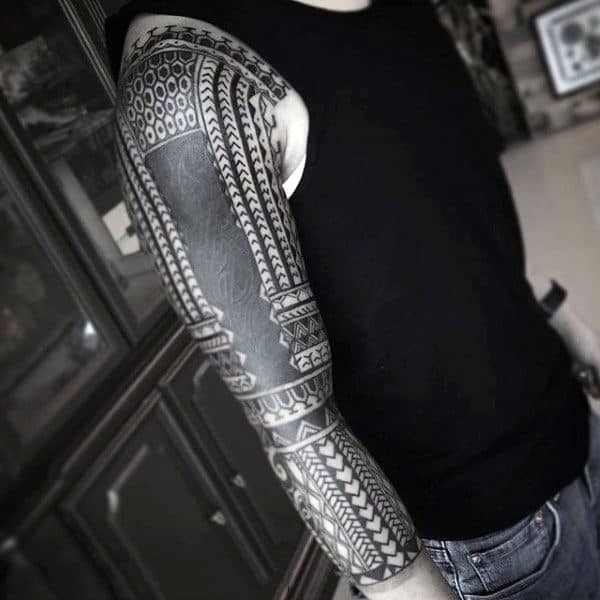 As a result, these ornate designs were often tied directly to a state of reaching manhood. 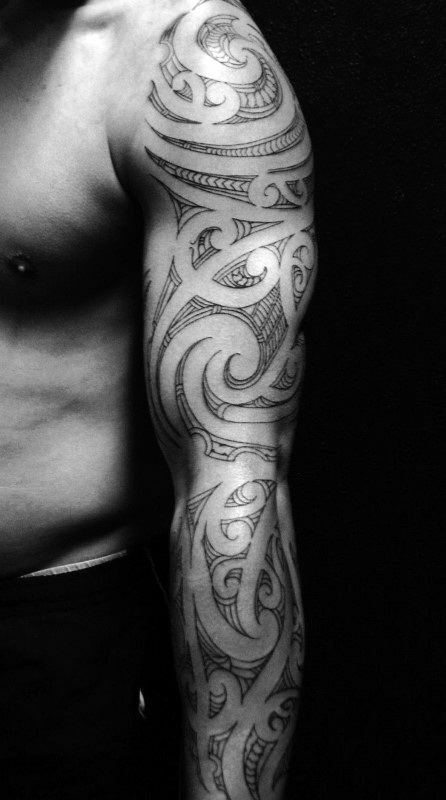 This symbolic connotation is still intact to this day, and the flesh engravings possess more impact than ever before. 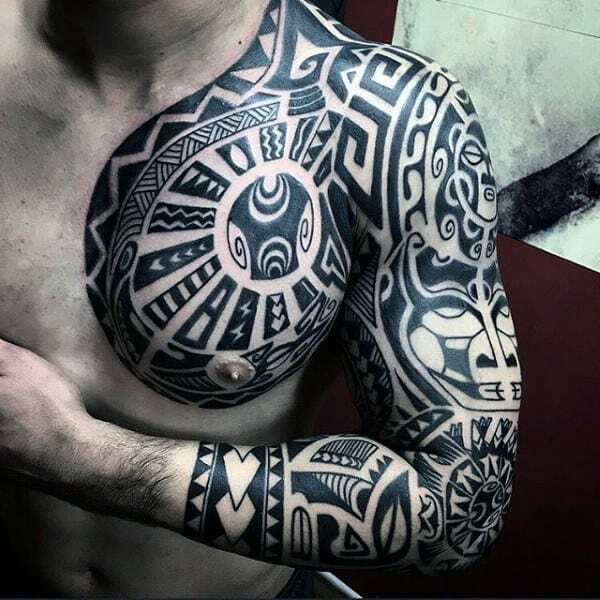 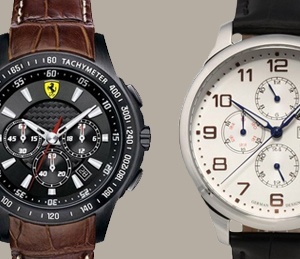 For a wide-ranging view of cool diversity, just guide yourself through our compilation of the top and best choices!